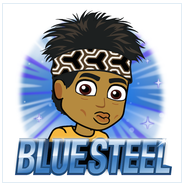 For those of you who are really, really, ridiculously good looking and need a way to express yourself, Bitmoji is launching a pack surrounding the highly anticipated premiere of "Zoolander 2." Your personal avatar can take on the traits of your favorite characters from the original film, including Derek Zoolander, Hansel and Mugatu. 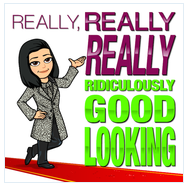 The "Zealander 2" Bitmojis will be available for free in the app today, just in time for your supermodel avatar to strut his/her stuff at New York Fashion Week. Bitmoji is the app that lets you create a custom avatar that can be shared in everyday chat messages with friends and family. The app continuously rolls out new packs tied to current events, seasons/holidays and pop culture. Past launches include Bitmoji Fashion (which featured DVF, Michael Kors, Steve Madden, etc. ), People’s Sexiest Bitmoji Alive, Time Magazine’s Bitmoji of the Year, and film partnerships with The Night Before and Star Wars. 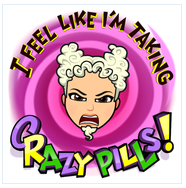 If you don’t already have Bitmoji, you can download it HERE. "Zoolander 2" opens in theaters Feb. 12.